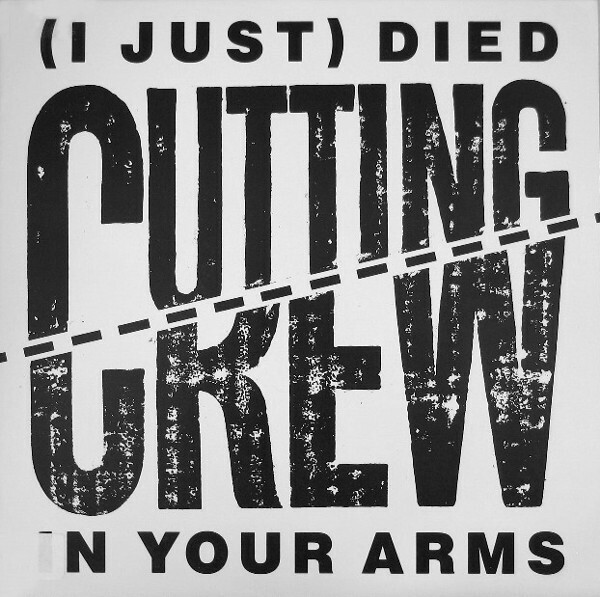 B-side: "For the Longest Time"
"(I Just) Died in Your Arms" is a song by the English rock band Cutting Crew. The song was released as the lead single from their debut studio album, Broadcast (1986). It was first released on 25 July 1986 in the United Kingdom, and then released to the United States on 1 January 1987. The song was written by frontman Nick Van Eede, produced by Terry Brown, John Jansen and the band, and mixed at Utopia Studios in London by Tim Palmer. The power ballad was the band's biggest hit, peaking at number-one in the United States, Canada and Finland, and reaching the top five in the UK, South Africa, Sweden and Switzerland.